After a great 11 year run, Rebuilding Together Dutchess County has decided that the 2017 Comedy Night event was the final curtain call. Check back on our events page for an exciting announcement regarding our February 2019 event! Rebuilding Together Dutchess County holds an annual Comedy Night every fall. A packed house comes to see multiple talented comedians as well as honor our volunteer award recipients. All proceeds from this event go towards our home repair programs. 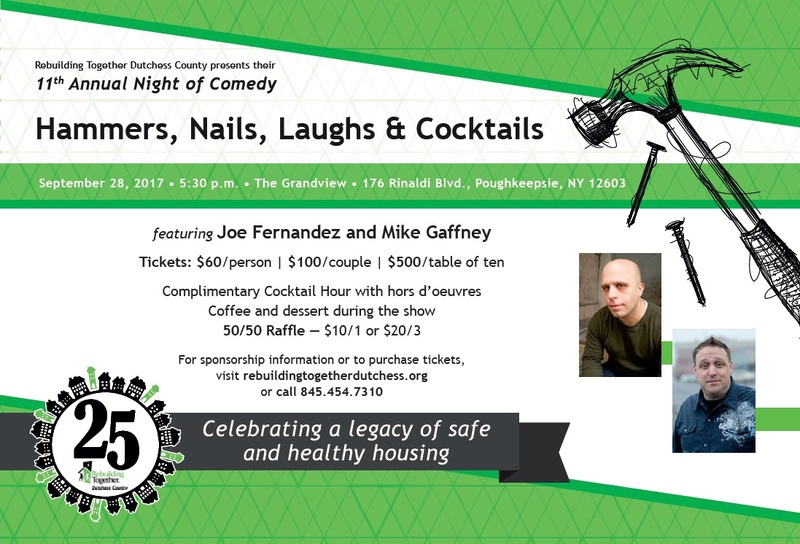 Rebuilding Together Dutchess County presents our 11th Annual Night of Comedy, September 28, 2017, at 5:30 pm. Located at The Grandview in Poughkeepsie, this year's event will feature comedians Joe Fernandes and Mike Gaffney.